Prepare to Help Yourself | Lord...What's My Motivation? Does anyone else think the phrase “Self-Help” is an oxymoron? I love walking by the “Self-Help” section in the bookstore. I find it ironic they always put these particular sections way in the back of the store, tucked away, almost challenging patrons to find them…no where near the customer service desk. What about “Self-Help” seminars? That’s a crazy thought. What do you do…sit in a room alone? Everybody seems to have the answer nowadays. Heck, even I think so to a certain extent, otherwise I would be writing this blog, hoping you’ll read it and reflect on it, right? 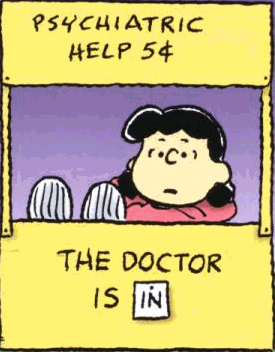 But, the bottom line is this…there is no such thing as a “Self-Help” anything. What would we do if we didn’t have the media, those “too busy to care” parents and siblings, and an our overloaded state of minds to help us get through the day? Would the world stop spinning if teenagers stopped snickering about those shy wallflowers who are just trying to make it through the day? What about those talented young actors or athletes who face the pressures of having to always exceed expectations? Without those everyday hurdles, I suppose life would be uneventful. I suppose there wouldn’t be anything left to talk about at the water cooler the next day. I suppose the notion is unrealistic. I argue that those who find comfort, new-found faith, and a youthful do-over in these “self-help” books haven’t looked in the right places. It’s like buying a George Foreman grill so that you may obtain the ULTIMATE GRILLING EXPERIENCE…simply because a beat-up old boxer told you so. Anyone can get a degree…everyone has an opinion…and anyone can get a book published. That doesn’t qualify someone to be an expert in anything. That sort of thing doesn’t offer universal truths…it just offers printed words. For those of you who may disagree with me, let me just say that I believe motivational “sources” have there place. (My Grandma reads the Family Circus” cartoon everyday because it “starts her day off right.” Same thing.) But, for truth…for support…for answers…I would argue the only “helpful” book is the Bible. Staying in the Word constantly is a great way to find that extra motivation…that kind word…that strength that so many of us need, including me. Which brings me to another point and my exchange with the little 6th grader. Everybody has “what it takes.” Heck, I’ve often thought about taking my sorry self to a shrink. Are you kidding me!!!?? I’m riddled with issues. I could find a warm spot on one of those leather sofas super easy. But, I don’t because I sometimes feel that we use crutches too often. Everyone needs a pick-me-up every now and then. My latest post was about a rough day I was having. I would’ve given the world for a smile, or a kind word on a day like that. But once you start leaning on those types of offerings day after day, then you stop carrying yourself and start allowing others to consistently man-handle the emotional chains that weigh you down. While there is always a shrink that will work you into their busy schedule, that’s unfair to you. Consult, by all means…reach out and find strength in others, or course….but then find new ways to re approach…yourself. All students face the stigma of failing in front of there peers. There is something about our moral fiber that tells us that we’ll excel if one of our equals fails. While sad, that sort of thing will probably never go away. (I’ll let the shrinks figure that stuff out.) So, in the meantime, what I recommend to do is exactly what I told that young 6th grader to do….prepare. I told her to hold her head high…to walk into that room with confidence and to have fun. Trust that God has a plan. I told her to prepare for the audition. Seems like an obvious answer, right? Well, what about you? What about the “everyday?” What about right now? What if you’re sitting there having endured a rough, busy day, or if your sad, lonely or depressed…or let’s say you’re like me, and have the tendency to sweep life under the rug sometimes? What then? Hold your head high. Have confidence. Try to have fun. Exercise the power of prayer, find guidence in the Word, and trust in the Lord. He has a plan. You don’t need a “Self-Help” book to tell you that you’ve “got it in ya.” But, then again…I don’t need to tell you that you don’t need to be told! The Bible can serve as that guide for when life’s challenges present a barrier…and you can always relay on the power of prayer. But don’t take my word for it….help yourself. *Thank you to Charles Shultz for the graphic. This entry was posted on September 18, 2008 at 7:52 am and is filed under ACTING ONSTAGE, DIRECTING FOR THE STAGE, LIFE IN GENERAL / RANDOM RAMBLINGS, THE HIGH SCHOOL THEATRE CLASSROOM with tags audition, God, help, inspiration, motivation, prayer, prepare, provide, Self-Help. You can follow any responses to this entry through the RSS 2.0 feed. You can skip to the end and leave a response. Pinging is currently not allowed.